Enchanted, £15, c/o Accessorize Beauty. 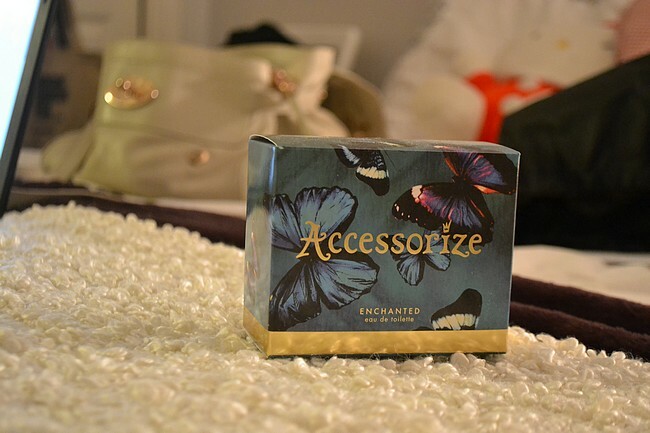 Ever since I posted a photo of my Enchanted by Accessorize Eau de Toilette in a Week in Photos post, I’ve been meaning to write a review of sorts about it. I recently went to see Accessorize’s newest beauty offerings and fell in love with most of their new collection, and this perfume is top of my pickings. Enchanted – as well as being the name of one of my favourite Taylor Swift songs(!!) – is a light, summery, slightly musky scent that I’ve worn religiously for almost a month. The notes of the scent as described to the right can sound a little much but I absolutely love it. The finishing scent(?!) isn’t as rich or full as a more expensive scent but I can live with that. 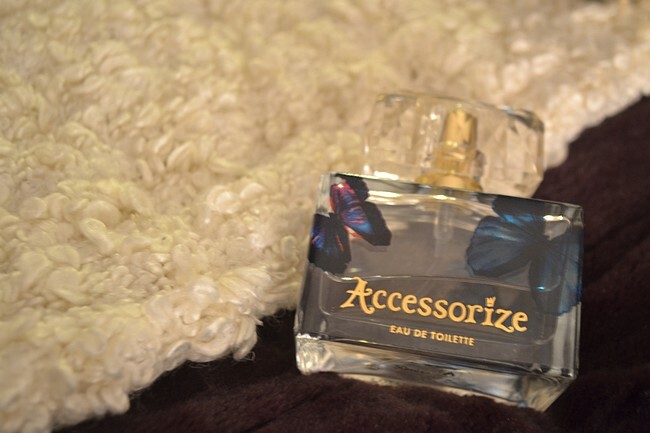 The bottle is a sturdy square glass bottle with an expensive looking cap, and Accessorize’s signature butterfly design. Enchanted retails for £15 and is available from Accessorize and Superdrug.